Sheila Modglin was badly injured when struck by a car on Lincoln Drive in February 2018. Days after she speaks her first words, family and friends are working to organize a month-long fundraiser at restaurants across Philadelphia. 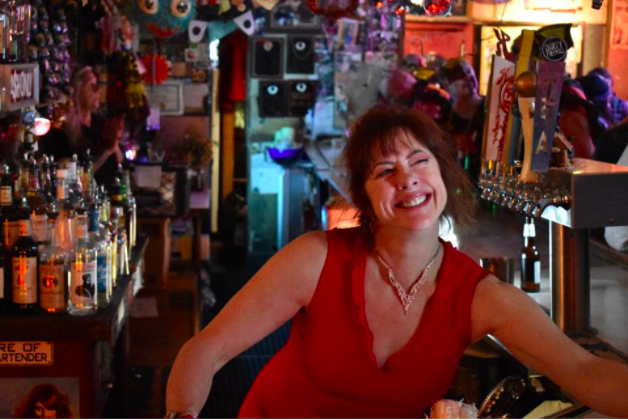 Sheila Modglin, the beloved Dirty Franks bartender and Sunshine Arts Center founder badly injured when struck by a car on Lincoln Drive in February, showed such signs of improvement last week that left her family feeling as if she’s turned a much-needed corner in her physical recovery. When PhillyVoice visited Modglin at her long-term rehab center in Nether Providence Township, Delaware County earlier this month, signs of her struggle were still evident. In the time since, though, things made a turn for the better, according to her brother Rick. “She said her first words to me last Sunday (September 17). She returned a faint but distinct ‘I love you’ and since then, it’s been a little better each day,” Rick shared on Monday morning. In addition to that progress, Rick said Sheila has a little more range of motion in her arms as well. Sheila, 56, suffered an array of injuries when she was struck by a vehicle that remained at the scene after working a shift on the night of the Eagles Super Bowl parade. Most worrisome were brain injuries but her damaged pelvis, fractured legs and other problems left her facing a long road to recovery. Insurance issues have left Sheila’s loved ones rallying to raise money to help her get the care she needs to recover. Rick said donations for an upcoming art opening at Dirty Franks and a “big dining/theater raffle” are pouring in. In a huge show of support, Sheila’s friend Sarah Eisenstein shared details of a month-long “Dining Out For Sheila” fundraising event in which they hope 90 restaurants around town will participate. For details about participating restaurants and bars – they’re still in the process of getting commitments from others – or to get involved, visit the Dining Out For Sheila website. “I really feel it’s the proverbial ‘snowball down the hill,’ and I think we’ll easily hit 90 restaurants, ending with a huge holiday party at the end,” Rick Modglin said.